As in the first pictures of the facelift, the BMW F33 4 Series Convertible LCI also radiates the world premiere at the 2017 Geneva Motor Show in Sunset Orange Metallic. 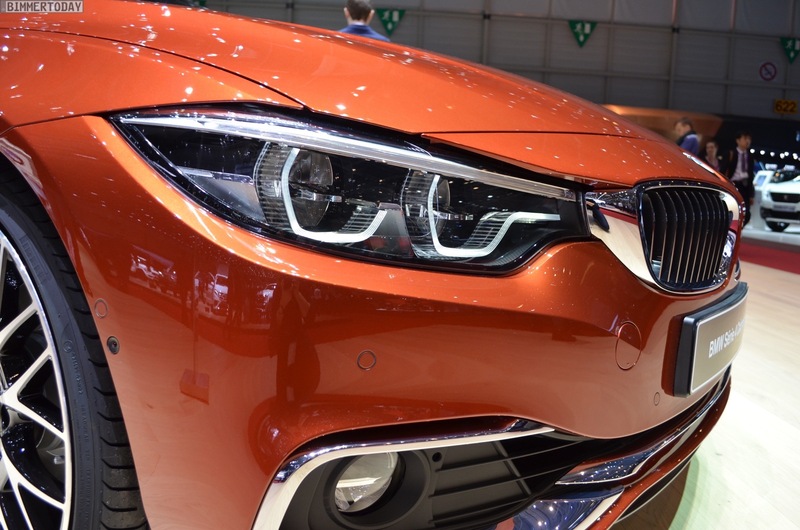 The new varnish is combined with the elegant Luxury Line and showcases its brilliance in the spotlight at the BMW booth. The noble appearance is supplemented by the 19-inch light-alloy wheels Style 708, which are presented discreetly in two colors and thus create a further eye-catcher. The most important modification of the model facelift is undoubtedly the adaptive full-LED headlights, since the luminaire units, which are unchanged in their outer shape, have a completely new inner life with flattened and therefore hexagonal corona rings. 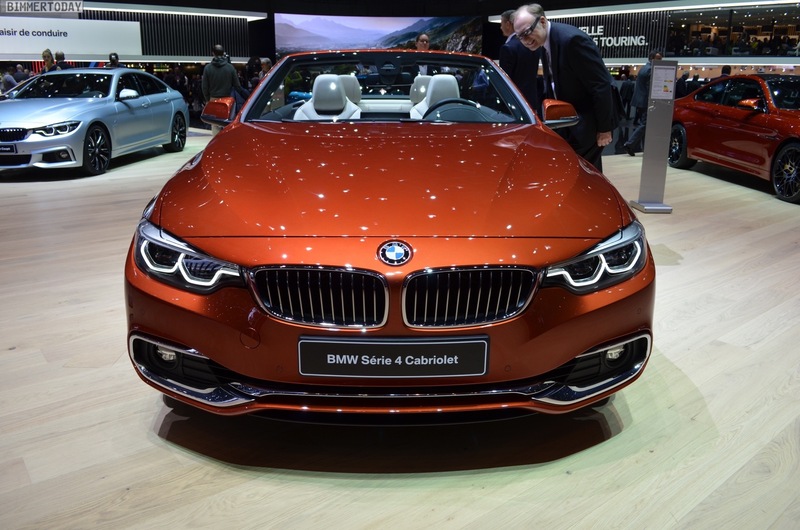 The interior daytime running light ring also feature a horizontal LED bar for a direct connection to the dual drive and underlines the focused view of the 2017 BMW 4 Series. 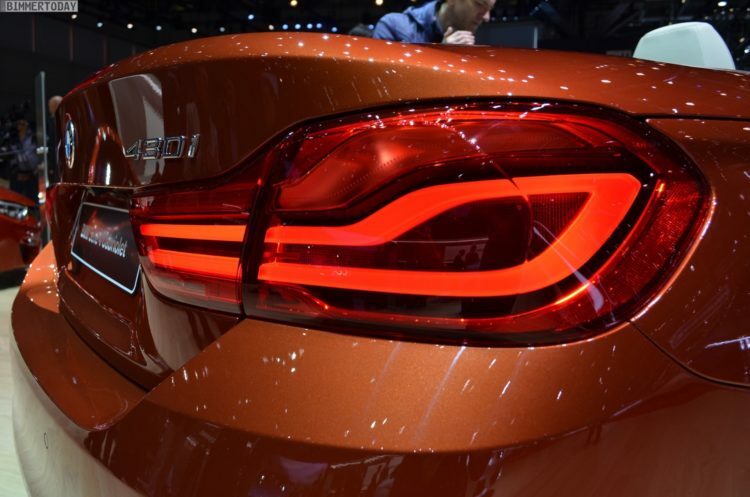 Although the models of the 4 series are – since the facelift – equipped standard with bi-LED headlights, the fresher optics of the optional lighting technology is likely to make the decision for the adaptive lights easier for many customers. In a new form, the aprons on the front and rear are also presented, while the chrome elements of the Luxury Line are even more prominently. The equipment line available for all engine types also ensures that the struts of the twin, the screens of the Air Breather air outlets are chrome-plated behind the front wheels and the tailpipes of the exhaust system. 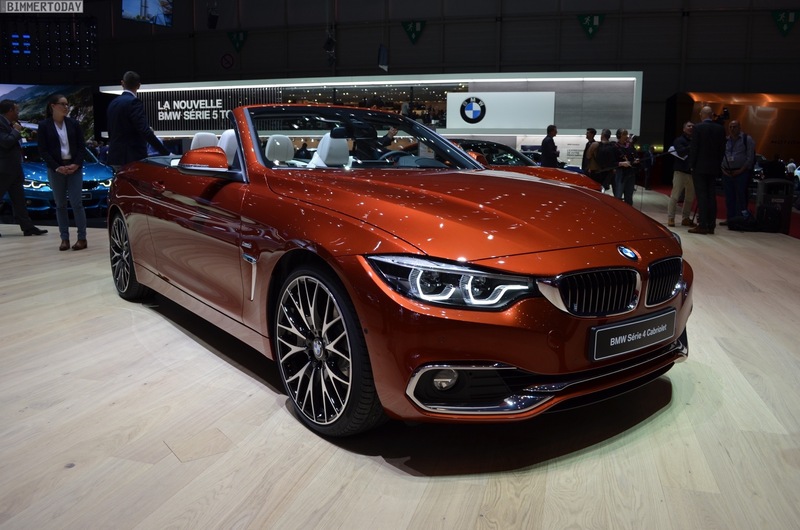 The BMW 430i Convertible LCI presented in Geneva is powered by the well-known turbo four-cylinder B48 in its 252 hp / 350 Nm strong design stage. Depending on the gearbox, the engine accelerates the convertible from 0 to 100 km/h in 6.3 to 6.4 seconds, the eight-speed automatic being the marginally faster solution. The top speed is electronically limited to 250 km/h for both versions. 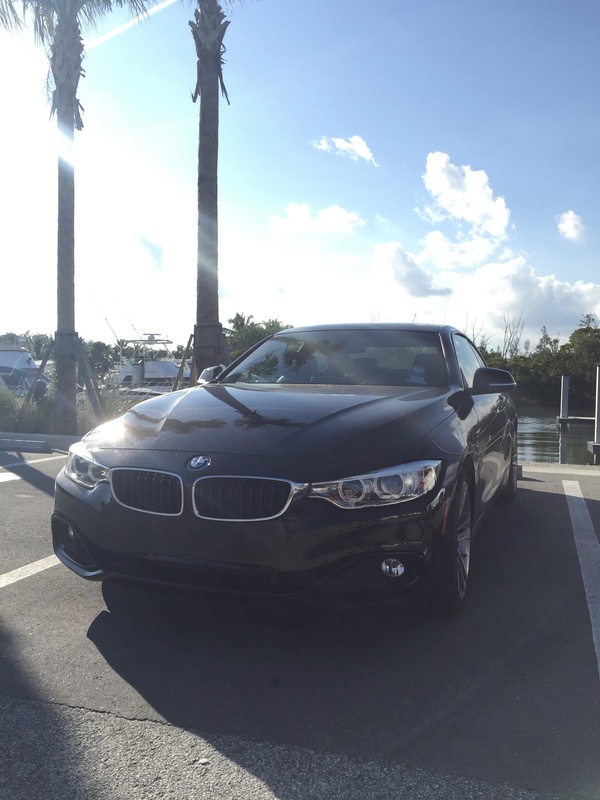 As a further option, the BMW 430i xDrive with all-wheel drive is included in the price list, which also requires 6.4 seconds to reach the 100 mark. Inside, this BMW 4 Series Facelift LCI carries the Dakota leather trim in Ivory White. 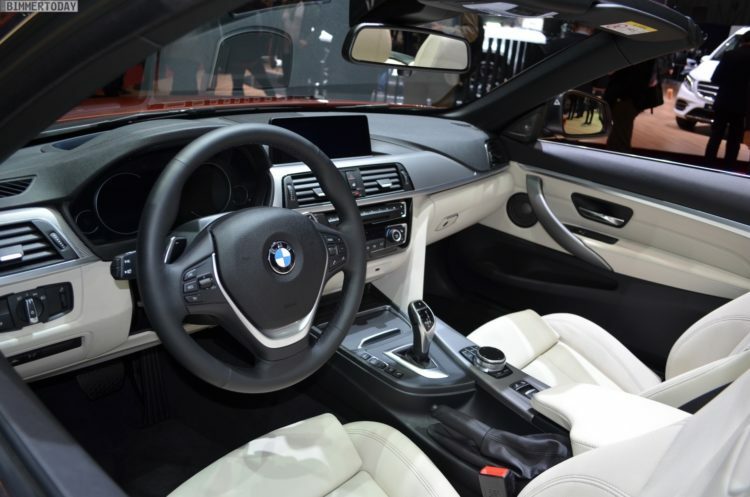 The sports seats are equipped with the optional neck warmers and the exhibition car is almost fully equipped – from the professional navigation system to the steering wheel heating system and the Head-Up display, to the multifunctional instrument display, which makes its debut in the BMW mid-range . They should’ve just done away with the stupid-looking non-M-sport front bumper. Still looks ugly (coming from an owner that replaced it immediately). 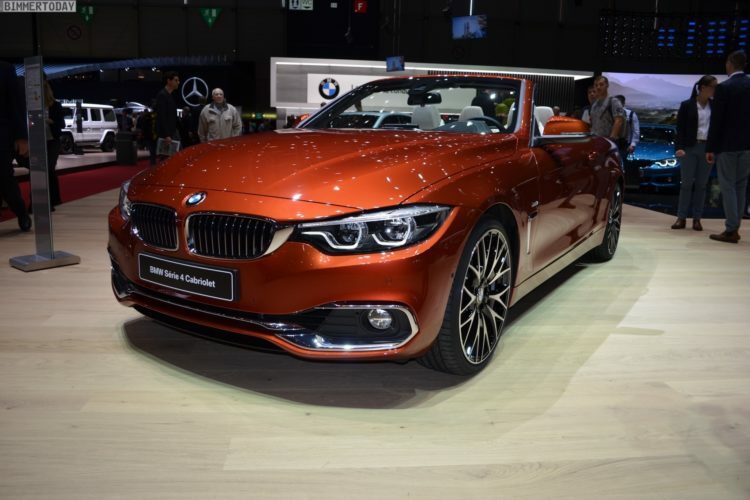 looks beautiful not everyone wants M sport.. this car looks like the concept 4 series. Beauty is in the eye of the beholder and form should follow function. The M-sport aero looks fine, but that front clip hangs far too low for a DD and, in hilly places or sudden grade changes, inneveitably scrapes. My previous 4 had the Sport Line, with M-sport suspension, upgraded brakes and all the performance of the M-sport, without the “look at me in my fake M”; not to mention I didn’t have to worry my front bumper might get destroyed every time I let someone drive it. With that said, black sapphire metallic really is the color to get since it conceals those black plastic bits in the lower bumper.